Interview the customer if possible, to determine the conditions that exist when the noise occurs. 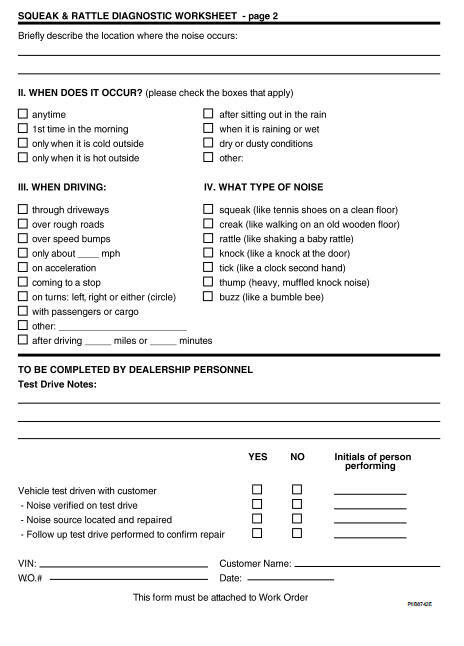 Use the Diagnostic Worksheet during the interview to document the facts and conditions when the noise occurs and any of the customer's comments; refer to SE-14, "Diagnostic Worksheet". This information is necessary to duplicate the conditions that exist when the noise occurs. 2. Narrow down the noise to a more specific area and identify the cause of the noise by: • Removing the components in the area that is are suspected to be the cause of the noise. Do not use too much force when removing clips and fasteners, otherwise clips and fastener can be broken or lost during the repair, resulting in the creation of new noise. 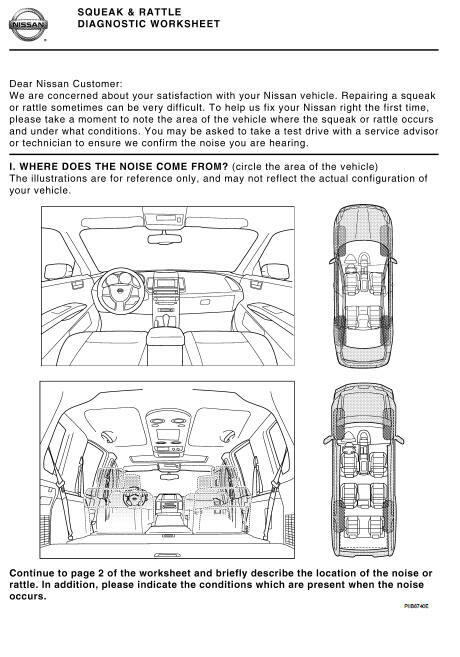 • Tapping or pushing/pulling the component that is are suspected to be the cause of the noise. Do not tap or push/pull the component with excessive force, otherwise the noise will be eliminated only temporarily. Refer to SE-12, "Inspection Procedure".